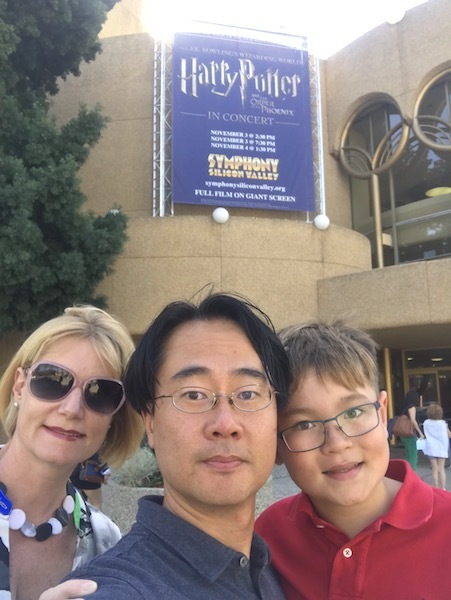 On Saturday, we went to see Harry Potter in Concert at the Center for the Performing Arts in downtown San Jose. 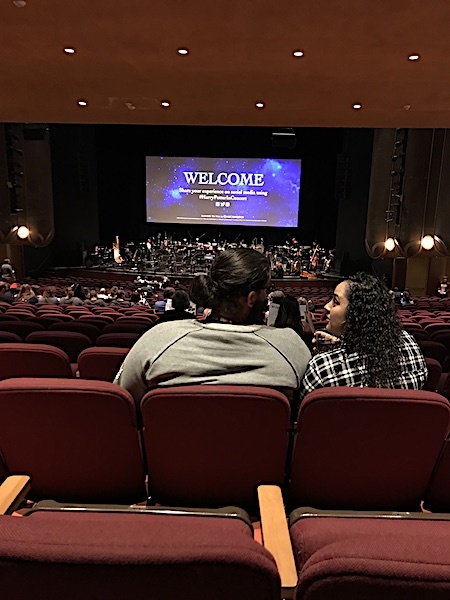 It was a great experience and a wonderful introduction to a live concert for the kid. I had been wearing my new camo jeans for about a week, and it was a nice opportunity to get dressed up a bit. 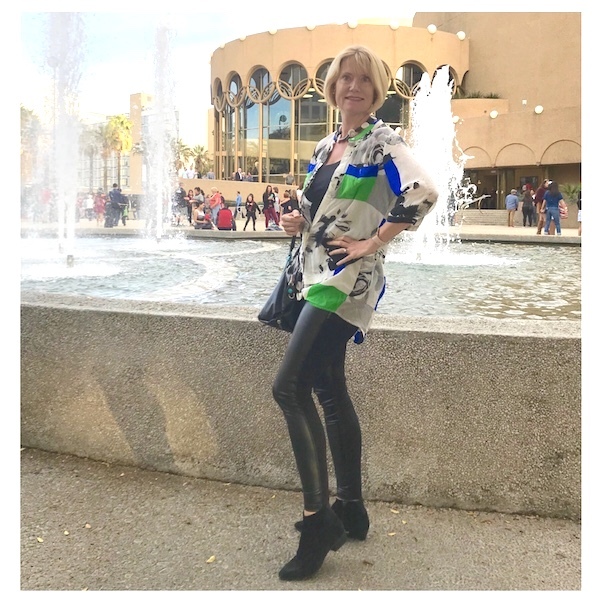 I opted for faux leather leggings with a silk tunic. Here is the tunic from the back. I like that it is long enough to cover my behind. 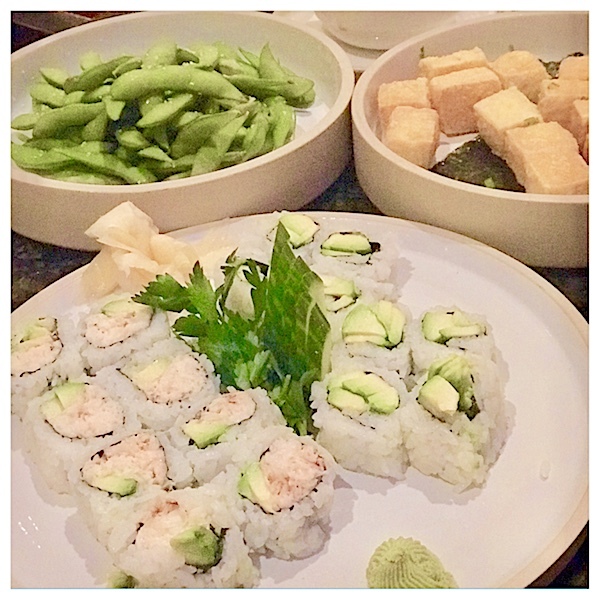 After the performance, we walked over to The Fairmont San Jose to get some California rolls, avocado rolls, edamame and tofu in the Lobby Lounge. 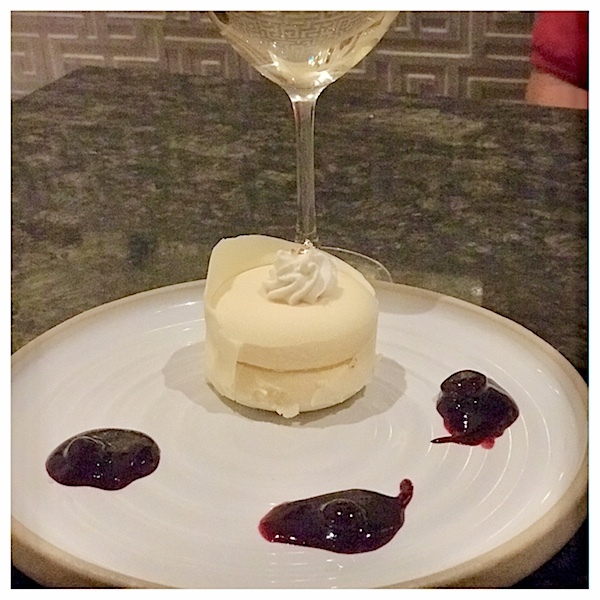 And we couldn't resist the cheesecake, which was decadent and satisfying. 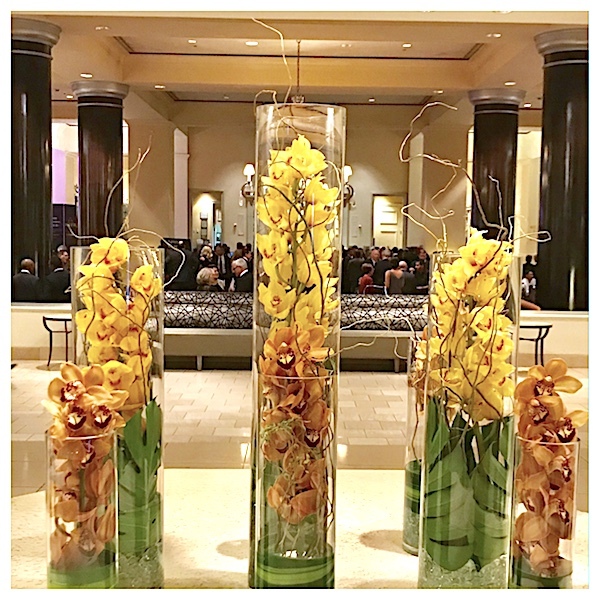 The lobby of The Fairmont is stunning and always has the most beautiful flower arrangements; this time it was orchids. 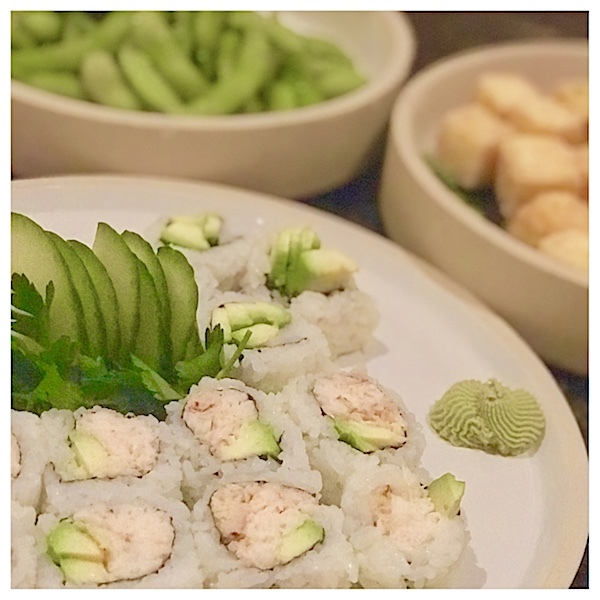 It's our tradition to get sushi in the Fairmont Lobby Lounge during Christmas in the Park, and we are already looking forward to returning. Question: What was the last performance you saw? It's been too long since we visited the Fairmont SJ! That sushi looks amazing! It tasted even better! The Fairmont is always worth a visit! I bet that was great even for adults!! We haven't been to a play in ages, but we just signed up to see ELF...I can't wait! Fun! I bet ELF will be a lot of fun! WOW what a great night. The food and flower arrangements look gorgeous! Love what you wore. 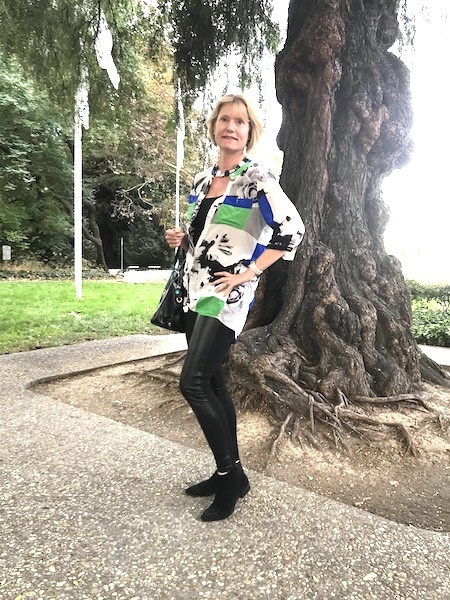 That patterned silk tunic is awesome!